Phoslab Environmental Services Inc. (PES) is a full-service, analytical laboratory providing environmental testing services to multiple business segments including: environmental, developmental, industrial, pharmaceutical, agricultural, and phosphate industries. Phoslab Environmental Services is certified and accredited by the State of Florida Department of Health, recognized for accreditation by NELAP and approved by the State Surgeon General. Our environmental laboratory has been servicing clients in central Florida since the 1960’s. Phoslab Environmental Services (PES) provides environmental testing to Lakeland, Polk County, and greater central Florida. Phoslabs environmental laboratory provides these testing services to Solid Waste Management Facilities, Organics Processing and Recycling Facilities, Soil Treatment Facilities, Used Oil Management Facilities, Hazardous Waste Facilities, Petroleum Storage System (UST) work, Environmental Engineering Firms, Petroleum Clean Up/Emergency Response Companies, Phosphate Mines, Agricultural Companies, Municipalities, Manufacturing Facilities, & much more. Phoslab Environmental Services is certified by the National Environmental Laboratory Accreditation Program (NELAP). Phoslab tests surface waters, ground waters, waste waters, soils, solid matrices, petroleum products, and unknown products. Much of Phoslabs success over the past 40 years has been due to it’s prompt response time to clients. Phoslab Environmental Services provides excellent quality, at a fair price. Phoslab has always placed a strong emphasis on sample turn around time for each and every client. 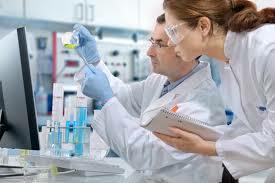 Phoslab Environmental Services has a highly qualified staff of chemists, biologists, and geologists. 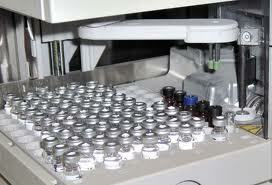 Phoslabs environmental testing laboratory provides couriers that pickup and deliver sample kits and samples. The main goal at Phoslab Environmental Services is to continue meeting and exceeding clients’ expectations.